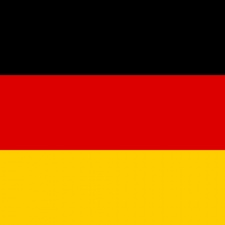 The German government has assigned $56.7 million (€50 million) of its 2019 budget to the creation of a games fund to help put the local industry in line with that of the UK, France and Canada. As reported by GamesIndustry.Biz, the move marks the first time that the country’s industry has been promoted on the federal level. The newly created fund will be curated by Germany’s Federal Ministry of Transport and Digital Infrastructure after being agreed upon by the parties in the German coalition government. The Budget Committee’s Rüdiger Kruse MdB is said to have described game development as "an engine for the creative industry, both economically and artistically". German trade body Game's managing director Felix Falk, meanwhile, reportedly called the fund "a historic step for Germany as a location for games". On top of that, he also believes the fund will help Germany catch up to countries such as the UK, France and Canada. While the move will give the local industry a welcome shot in the arm, the German industry has also seen some international names move in over the past year. Just yesterday, hyper-casual mobile games publisher Voodoo revealed that it was set for a new office in Berlin. The French outfit called Berlin is the ideal spot to build a “strong and creative” production team as some of the most significant games companies are based there. One of those big companies is Ubisoft, which opened a Berlin site earlier this year and received a sizeable subsidy of $1.84m (€1.58m) for expansion from the Berlin Senate.